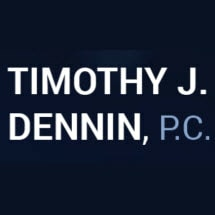 Based in Northport, New York, our staff at the law firm of Timothy J. Dennin, P.C., handles a wide range of complex securities fraud and litigation cases for clients in New York, across the U.S. and overseas. Our international scope allows us to represent clients from around the globe who have invested money in the U.S. markets. Our Northport firm is led by attorney Timothy Dennin, a highly respected litigator who has been an advocate for defrauded and aggrieved investors for the past 25 years and previously was an enforcement attorney for the SEC in Washington D.C. Since 1990, Mr. Dennin has been fighting for the rights of defrauded investors, succeeding in obtaining settlements and awards against numerous major brokerage and investment firms. Mr. Dennin has been quoted in major publications, including the New York Times, Forbes magazine, USA Today and the Wall Street Journal in articles related to securities law and fraud cases. He is highly regarded throughout the industry as a tenacious attorney who has a proven record of success and is dedicated to handling even the most complex cases for the firm’s varied clientele. No one should have to suffer the loss of the money they worked so hard for due to a broker's or investment firm's illegal actions. If you think that you may have been a victim of broker negligence, investment fraud or other broker misconduct, call a lawyer at our firm at 866-437-9475 to see whether we may be able to assist you. The initial consultation is free.